No matter how much we talk about the disadvantages of the internet and social media platform but for some, it could be ‘gift of God’ if used wisely. 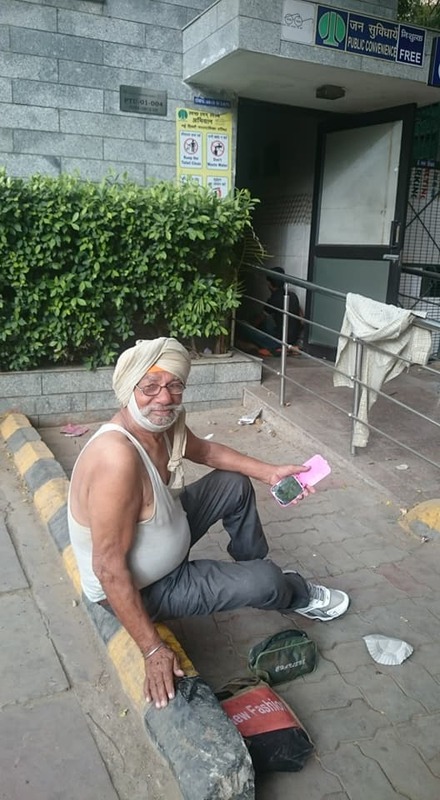 One of them whose life transformed because of the internet is a 76-year-old Sikh man who has spent almost four decades of his life on the streets of Delhi despite being an Oxford University graduate. Facebook changed the life of Raja Singh Phull, who claims to have been a professor at Oxford University. 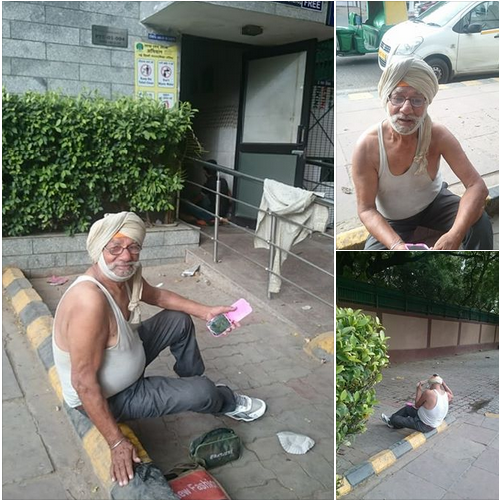 Raja Singh’s tragic life story became public and reached masses when a good samaritan shared it on Facebook along with this old man’s pictures. His life took a brutal turn and brought him on streets at the New Delhi Railway Station. His story touched thousands of hearts and help came in abundance. By God’s grace and internet’s help, he has a home now. Phull came to India after his brother asked him to. They together started a business that went down after his brother’s death. His sons abandoned him and are now settled in abroad. But begging was never an option for this old man. To meet his needs, he helped people fill forms outside the Vica Centre in Delhi. He never asked people for money, kept whatever they offered him for helping them with the forms. When there is no work, he relies on Gurudwara’s langar. He is an Oxford graduate who shifted to India on the insistence of his brother in the Sixties – 60s. His eye sight and his legs are failing yet he pulls on barely making his both ends meet! He leaves Railway station at 6- 15 am. Will be at CP Sauchalaya by 6-40 am going through daily cores, washing his clothes tying his turban with the help of a pocket mirror and have a cup of tea ! If there is money a rusk or two would act as breakfast! There are days that Raja Singh has gone without proper food! “You are not well and there is no earning you will go without a sqare meal ,” quips the old man in immaculate English with a chaste diction! What about kids and family? After moving to India he and brother B S Phull tried hands at various businesses! While brother was more into drinking “I did lot of hardwork and sent two of my sons for studies abroad,”he adds! Raja Singh even took loans for his children! Today they are in UK and the US well settled with firangi wives not having time for their father who is living by the roadside in the National Capital! Raja Singh has no remorse that his relations after he lost his wife are mostly wary of him. No help has come from government or any other quarters! He has got a cell but he cannot get a SIM for want of Aadhar card and a permanent address! He has only one prayer, “God should never force me to beg”! He was reluctant to accept help but with failing health he will need succour sooner or later! Those willing to contribute can contact 7042715788! He is still willing to work if there it comes with a place to stay! Any takers!!!! According to NDTV, Phull has now moved into an old age home to spend the rest of his life at peace. From considering our happiness as theirs to teaching us ways to survive in this world, parents do this all for us. Then why we fail when it’s our turn to take care of them? No relationship is bigger than the one we have with our parents and children should not forget this.